The man was burned beyond recognition, Philadelphia police said. His clothing and belongings were also destroyed. Investigators and firefighters responded to the death of a man on the top of a SEPTA Regional Rail train. The burned body of a person believed to be a young man was found on top of a SEPTA Regional Rail train when it pulled into Philadelphia's Center City station during the Friday morning rush hour. The remains were burned beyond recognition, making it impossible for police to immediately identify the person killed, Philadelphia police said. The "charred body," as police described it, was found about 7:30 a.m. at Jefferson Station, with the person's legs dangling off the side of the top of the train. Investigators do believe the person was 16 to 20 years old. "The male has severe burns all over his face and body," city Officer Eric McLaurin said in a statement. "The male's clothing and belongings were also burned beyond recognition." The body was found near the rear of the train in the vicinity of the power lines that connect to overhead the electrical source, police said. 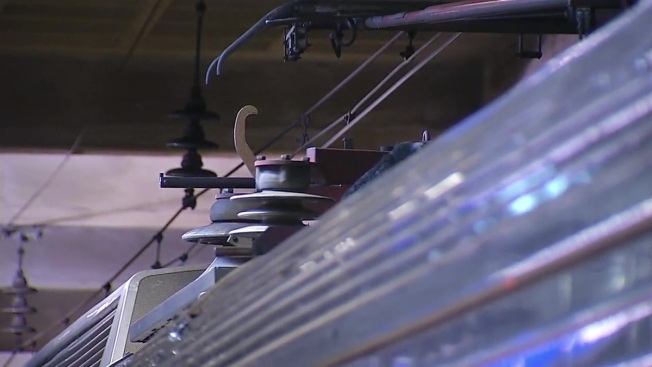 The connection between train and SEPTA power is high-voltage and deadly to the touch. SEPTA did not provide details about the incident, initially describing it as a medical emergency in a tweet. Delays of up to 20 minutes on Regional Rail lines were initially reported, but by noon, most of the train lines were running close to schedule.